With these Ten Amazing Cakes to Make in Your Instant Pot you can create a delicious cake in just minutes without heating up the house! Doesn’t that sound like an Instant Pot win! Click here to PIN Ten Amazing Cakes to Make in Your Instant Pot! Click here to see The BEST Slow Cooker Chocolate Desserts from Food Bloggers! It’s summer and you probably don’t want to turn on your oven to be baking a cake, am I right? 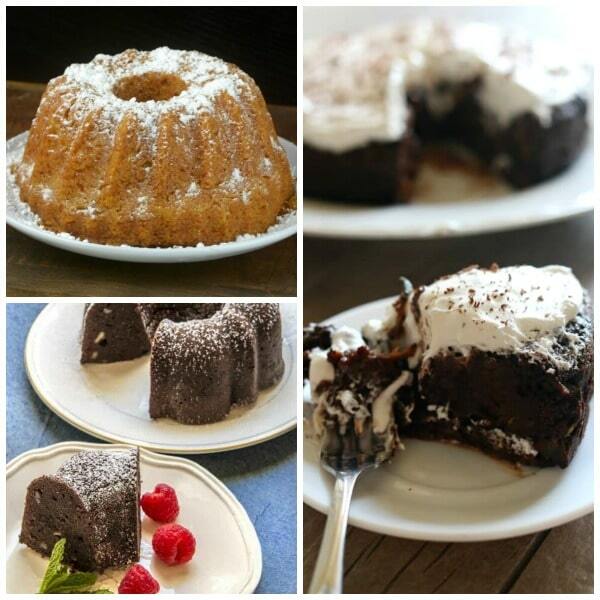 That’s why we created this collection of Ten Amazing Cakes to Make in Your Instant Pot! Talented food bloggers have done all the experimenting to help you create amazing cake in the Instant Pot so you can make cakes for birthdays and holiday celebrations all summer long and keep your kitchen cool. Instant Pot cake for the win! And if the idea of dessert in the Instant Pot is a new one for you, you might want to also check out our collection of The BEST Instant Pot or Pressure Cooker Cheesecake Recipes! Let the Instant Pot help you make dessert any time you need a special treat! All photos of these amazing cakes to make in the Instant Pot are copyrighted to the blog that posted the recipe! Just click the recipe title under any photo to see the complete recipe on the original blog. And enjoy! Instant Pot Pumpkin Apple Cake from The Typical Mom is made in a bundt pan in the Instant Pot and is perfect for when it’s too hot to turn on your oven. This pumpkin apple cake would be great served for breakfast or brunch. Instant Pot Chocolate Zucchini Cake from 365 Days of Slow Cooking is made with a favorite summer vegetable, zucchini. It is super chocolatey, moist, dense, and looks delicious. Serve hot with vanilla ice cream or wait until its cool and top with whipped cream. Yummy! Instant Pot Apple Cinnamon Cake from What’s in the Pan? is a from-scratch recipe that is loaded with fresh apples and rich cinnamon flavor. Olya from What’s in the Pan? uses the pan inside the pot method to make this cake. Doesn’t this cake look delicious? Grab your Instant Pot and give it a try! Instant Pot Flourless Orange Chocolate Cake (Gluten-Free) from I Don’t Have Time for That is the perfect combination of eggs, chocolate, and orange blended together and cooked for just 35 minutes in the Instant Pot. For an added bonus this cake is made without flour which makes it gluten-free. Pressure Cooker (Instant Pot) Berries and Cream Breakfast Cake from Pressure Cooking Today is a protein filled breakfast cake made with 100% whole grain and would be perfect for a weekend brunch. 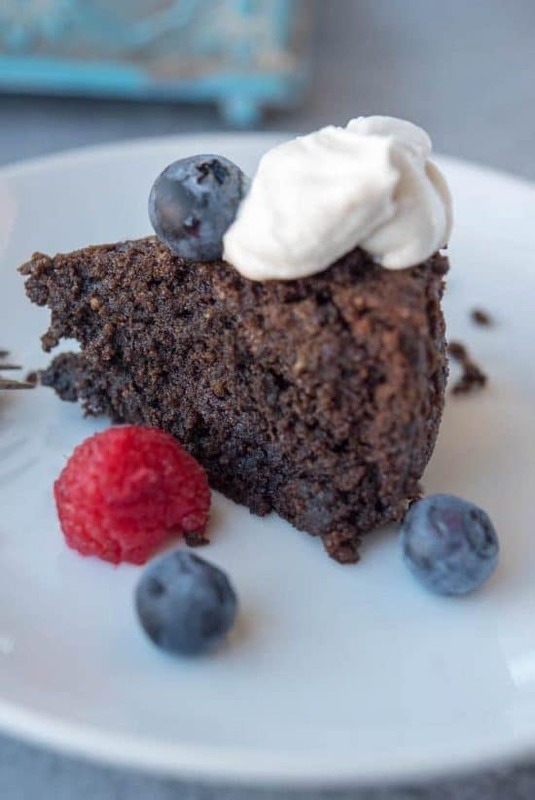 7-Up Instant Pot Cake from Adventures of a Nurse is delicious made as the recipe instructs or you can change it up to suit your taste. This cake cooks in a 7″ bundt pan and turns out perfectly after 45 minutes in the Instant Pot. Instant Pot Chocolate Lava Cake from Family Favorite Recipes is a rich, gooey, decadent cake that is pretty enough for a special occasion and couldn’t be easier! Made in four small ramekins that cook in just 8 minutes on “high pressure” in the Instant Pot. Instant Pot Pumpkin Chocolate Chip Bundt Cake from A Pinch of Healthy is a from-scratch recipe that cooks in just 35 minutes in the Instant Pot and is a deliciously moist treat!